As rumored, Billy Dee Williams is returning to "Star Wars: Episode IX" to play Lando Calrissian in the final installment of the Skywalker saga. He's not the only "Star Wars" vet coming back to the franchise: Mark Hamill, Billie Lourd and even Carrie Fisher will appear in the upcoming film, J.J. Abrams announced. They will be joined by newcomers Naomi Ackie from "Lady MacBeth" and Richard E. Grant of "Logan" and "Downton Abbey." It's not clear yet what their roles are. Writer-director J.J. Abrams explained in a statement, "We desperately loved Carrie Fisher. Finding a truly satisfying conclusion to the Skywalker saga without her eluded us. We were never going to recast, or use a CG character." He said he received approval from Lourd, Fisher's daughter. 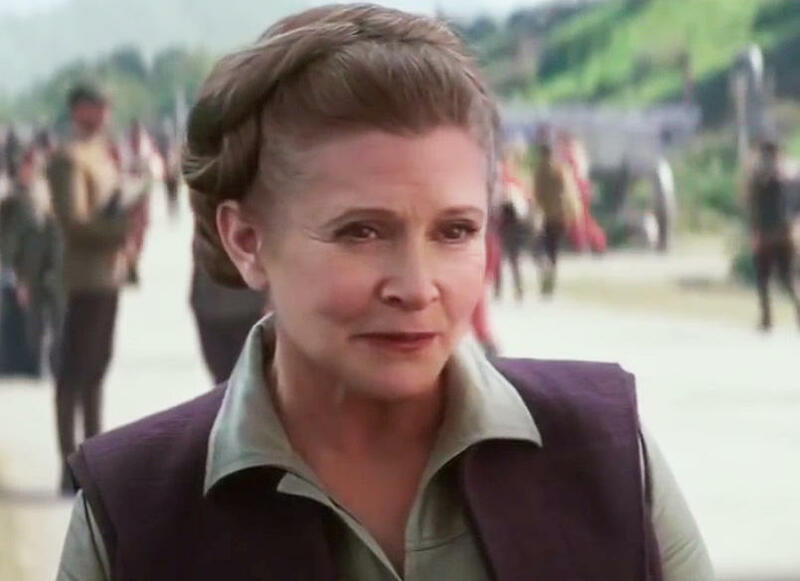 "With the support and blessing from her daughter, Billie, we have found a way to honor Carrie's legacy and role as Leia in Episode IX by using unseen footage we shot together in Episode VII," he said. Recently, Donald Glover played a younger version of Calrissian in "Solo: A Star Wars Story." Williams' return is momentous: The last time the actor played the smooth talker was in 1983 in "Return of the Jedi." He originated the role in "Star Wars: Episode V -- The Empire Strikes Back." "Star Wars: Episode IX" does not have an official title yet, but it begins shooting next week on Aug. 1 at London's Pinewood Studios. It's set to hit theaters in Dec. 2019.